Thanks for the update jwswrites. I've been by the building, but I couldn't tell what they were working on. Painting the cornice white? 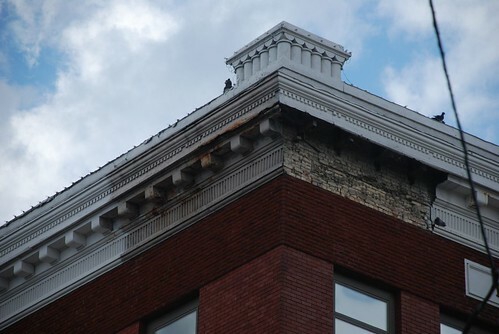 I really like the natural limestone much better unpainted, but the rebuilt cornice on the Arbaugh actually looks pretty nice painted white, so hopefully they use a similar off-white color, because white can look really tacky if not done right. EDIT: I was by there, tonight, and it actually looks decent. Sorry, no photo updates (I'm still having trouble with my ISP), but it's coming along and turning out far better than I thought it would. It looks alot like what they did to the Arbaugh down the Square. I'm very pleased by the rebuilt cornices, which I'd originally thought were going to turn out very cheap looking. 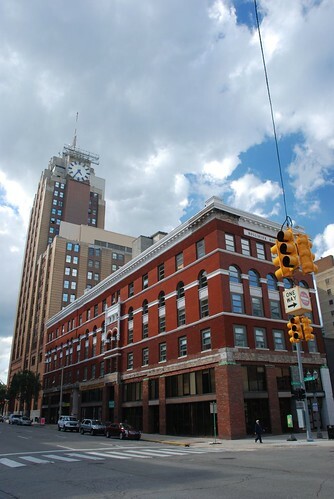 LMich, can you post photos to flickr of the Hollister building? 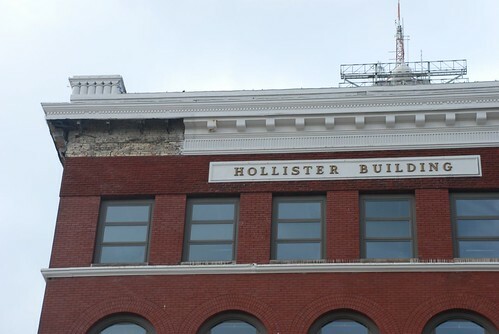 i remember hearing rumors a while back that majority might reopen in the hollister building...any word yet? 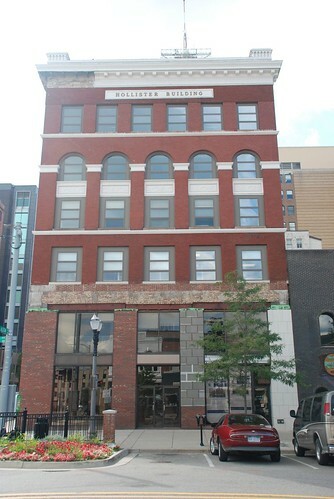 They said that the Bojis may open a "reincarnated" Majority resturaunt in the Hollister building, not necessarily even under the same name. I doubt we'll know for awhile. I think the key word there is "may." The cornice work LMich was talking about, didn't realize it was a faux cornice, but I guess that makes sense. The real thing would have been way too expensive. 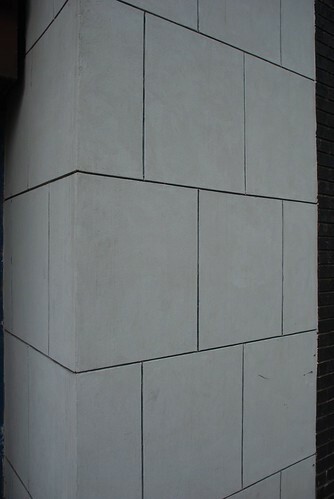 The concrete faux-stone treatment looks ok from the street. Up close you can tell it's concrete. It looks like they're attaching concrete backerboard to the building, wrapping the edges in steel, and covering it all with concrete. It's like a fancy stucco treatment. And finally, just a couple of random shots of the building. 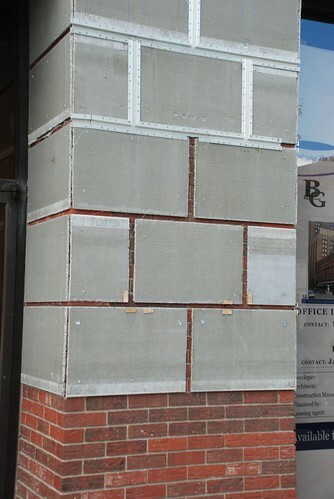 I'm going to hold my opinion on this until it's done, I just hope they at least replace the ground floor windows. when is this project supposed to be finished (inside renovation and outside improvements)?